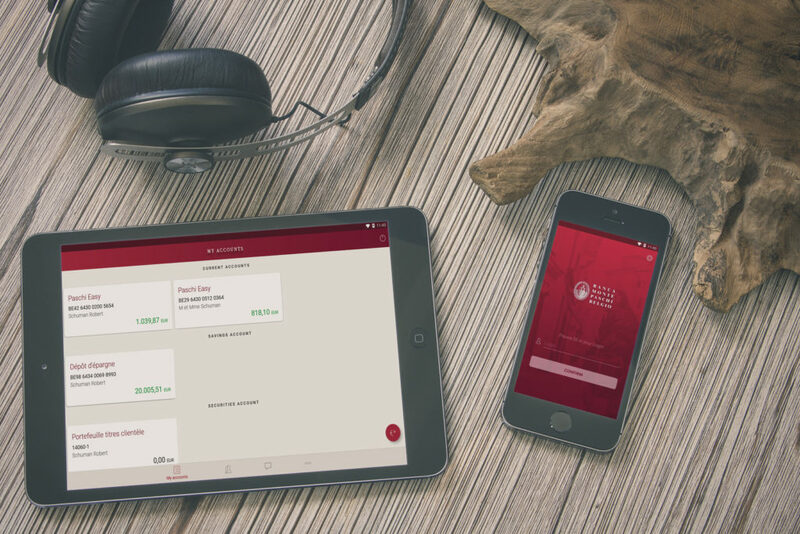 Banca Monte Paschi Belgio launched its first mobile app for its Belgian clients. Emakina managed this business-critical project with the client from A to Z, including security, performance, technology consulting and implementation. Customers can now freely master their complete banking operations via tablet or smartphone, with many extras besides the usual banking functionalities. Besides easy consultation of accounts and securities, you securely check the history of movements and manage payments, beneficiaries, multiple debit and credit cards, as well as pre-paid cards. Interaction is fluent in 4 languages, with fast access to notifications, data of branches and contacts, and direct contact with trusted consultants. The more advanced functionalities include visualising the growth of your investments, scheduling payments and transfers, and payments via QR Code. You can also connect via fingerprint scan in iOS. Emakina managed all the steps of the project with its own experts. 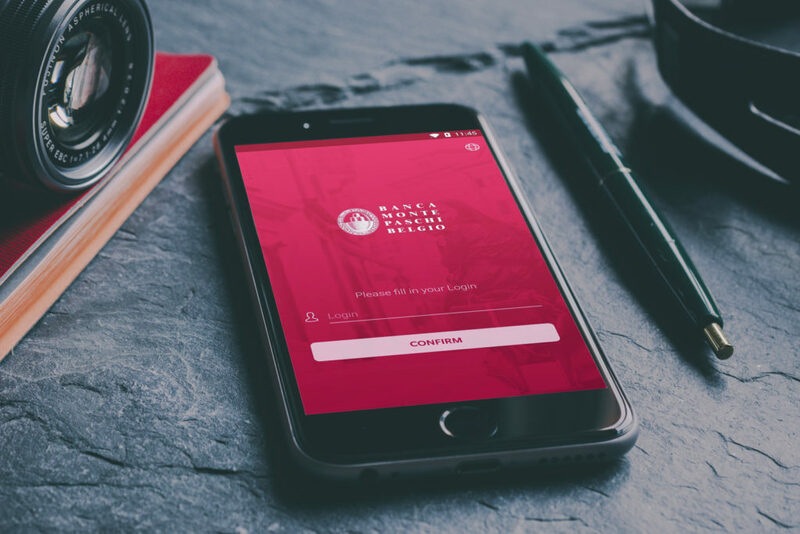 Their work included the user experience design, wireframes, architecture and native implementation for both iOS and Android, including integration with the bank’s existing applications. Emakina defined the concept and the web services to include, and proposed the best-suited technological choices. It also handled all security questions, with external banking security and transaction backend providers. Emakina’s designers respected the corporate guidelines, but enriched the design and experience for mobile. Logically, the bank’s visual identity is more traditional, in line with its heritage. Yet the app looks and feels dynamic and fresh, thanks to new fonts, delicate design touches, and a balance of greys and whites with lively colours. Android – Android SDK 17 support (4.2.) and above. iOS – iOS 10 or above, iPhone 5 and above, iPod Touch 6th generation and above.